We are a church focused on growing wholehearted followers of Christ. We are dedicated to helping our community build lasting relationships with Jesus. At The Heights we are about action. We are passionate about going into our community, putting boots to the ground, and helping people find and follow Jesus. The Heights isn't just a church. It's a movement. We are a group of Christians dedicated to spreading the life changing love of Jesus Christ. 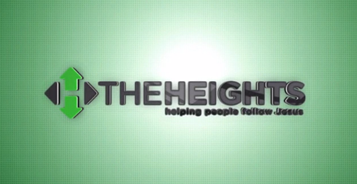 The Heights is family focused and community centric Foursquare Church. The Heights has multiple campuses on the West Plains to serve our friends and neightbors. Meet the individuals who prepare the ground for our community and are passionate about inspiring others to be followers of Christ. We have a number of ways you can get connected with The Heights. We have 2 services every weekend and we would love for you to join us any time. Make sure to stop in and introduce yourself! On the third Sunday of every month we have a connect dinner where you can meet the staff and learn more about our mission. Rooted is a 10-week discipleship study that will help you strengthen your faith and build lasting connections.